I was inspired by a youtube I watched where an art instructor made a cheap hardware brush into a really nice painting brush. For the life of me I can’t find that link, so if you find it, please let me know and I’ll add it here. It was a short video with him using scissors on the brush. 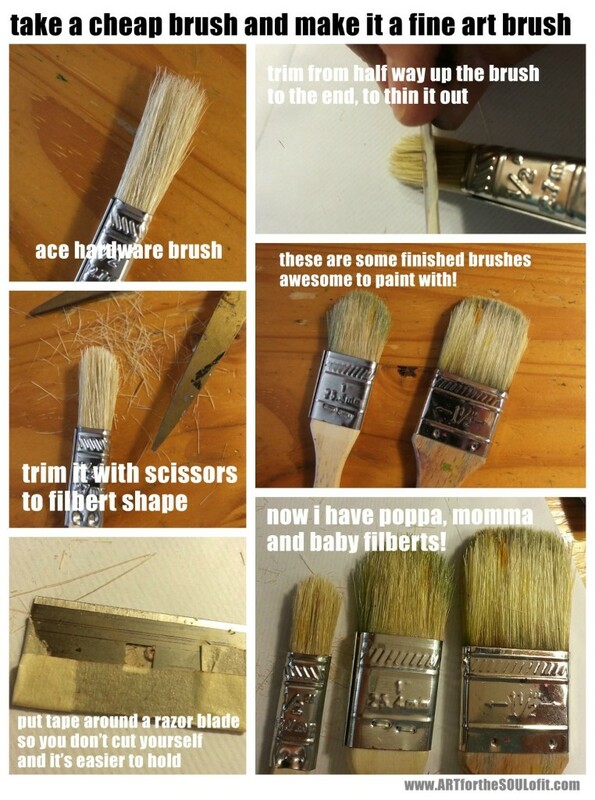 I so loved the idea I tried it on three brushes, and here is a little DIY for you in pictures. These aren’t fine detail brushes by any stretch, but they are fab for pushing paint around. Thanks to Susie for locating this youtube link http://www.youtube.com/watch?v=wOPhCFUkeBc.